I'm calling it a fluke. For it to happen to both Cole & McHugh back-to-back days tells me this isn't something to be worried about. Gerrit Cole said he was tipping his pitches on Saturday, Chris Woodward said Jose Leclerc was tipping his pitches after his blow up today. McHugh's first 4 starts were very encouraging and this one seems like an outlier. Albeit one that lost me my matchup. That’s not going to happen anytime soon. McHugh losing his rotation spot, I mean. Don’t know what’s going on in Arlington, but with Cole giving up 9 runs last night, I’m sure the Astros are just looking forward to the series being over with. McHugh has looked great before today. What happened in the Twins game? Polanco got on 3rd base, but ESPN doesn't show Jorge to have a hit or walk/stolen base. Wild pitches? Touki pulled after 1.1 innings, 6 hits, 7 earned runs, 1 walk and 2 strikeouts. 3 HBP against the Indians. Unfortunate. Never want to see any young pitcher hit a wall that hard. But that just, more than likely, pushed him to the bullpen. Another homer from Avisail. A lot has been made about the Rays' acquisition of Yandy Diaz from the Indians, but perhaps the White Sox were overlooking Garcia as well. Last year, from June 26th to July 7th (12 games), I remember he had eight home runs but an injury took him out for a couple of weeks and he wasn't the same the rest of the season. Hopefully he can continue having regular playing time. For what it's worth, Garcia is second to Meadows (.347) in average (.318 on the year). No, there hasn’t been any news. Good sign that the Braves want to see how Touki & Fried do this weekend. If they weren’t thinking about keeping Soroka, they would have called up another reliever. I suppose there’s the chance it hasn’t been reported yet. Yes. They're a middle to below average offense. They've had a few breakout games but a lot of duds also. Here's an article from two weeks ago after Soroka threw 5 perfect innings with 7 strikeouts. "I'm fully healthy," the 2017 Futures Game participant said. "I'm just building up from Spring Training. It's my job to go out there and be a good teammate just like I did any other day and compete. A lot of my best friends are here. It doesn't change what you're trying to do every single day." And an article from January. "It was about being able to move my scapula properly," Soroka said. "I had some muscles that were overactive and some others that were underactive. It wasn't so much about arm action or anything like that. It was more of an issue of just being able to move properly." [About Soroka being shut down in 2018] Multiple MRIs showed no sign of structural damage, but instead of rushing the then-20-year-old back to the mound, the Braves instead allowed him time to get healthy and get a better feel for the stretching and maintenance exercises he'll likely need throughout the rest of his career. Hopefully he can go out today and prove the concerns are a bit unwarranted. It does seem like the Braves are being overly careful. Who knows what the Braves are thinking? I think it’s very telling that they are giving Soroka this spot start. Touki impressed in relief of Wright (?) but I’d like to see what happens when the opposition can plan a little. As for Fried, I’m not sure he’s ready to be a steady arm all year long. Nothing’s out of the question. I want to see what Soroka does tomorrow and how Touki and Fried perform this weekend. Will likely have a better idea if Soroka’s got a shot to steal a spot by Monday. In 2016, at the age of 26, Eickhoff pitched 197 innings for the Phillies with a 3.65 ERA and was a break out pitcher, but in the last few years has had trouble staying on the field. Today, he was called up by the Phils and proceeded to pitch a 4 inning save with 3 hits, no runs, no walks and 6 strikeouts, and threw a lot of swinging strikes, after Nick Pivetta left the game (5 innings pitched, 7 hits, 3 earned runs, 3 walks and 2 K). This is after he looked solid in Triple A to begin the year, pitched well in spring training (didn't make rotation because of the past injury history), and had 8 Ks over 3 innings in a brief appearance at the end of the 2018 season. If you own Nick Pivetta, you might want to pick up Eickhoff as a handcuff. I don't think it's out of the question Kapler saw enough tonight from Eickhoff to let Pivetta work on some things in the minors. That decision might be aided by the fact that Eickhoff is now on the same schedule as Pivetta. 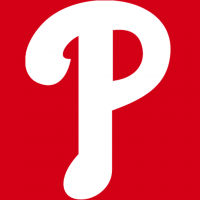 It's not necessarily probable, but you should keep an eye on Eickhoff and any Phillies news tomorrow. Kapler went out of his way to get him in the lineup last year. And Segura left today with a hamstring injury/tightness (not too serious). I imagine we’ll see him 4-5 days a week if he keeps hitting like this. And long term, it’s not out of the question he steals regular time from Franco or Hernandez (though they both have earned their at-Bats). There’s reason to be skeptical of his impact, but Kapler couldn’t stop talking about Kingery in 2018 and I want to see where this goes. I dropped him (12 team league). I think he'll bouneback at some point, later this summer or next year, but for now, the chance he not only duplicates last year's numbers but surpasses them is very slim. He's batting towards the end of the order, and manager David Bell has no reason to believe he should move up it, since he was not with the Reds last season when Peraza broke out. I drafted him with the hope he could evolve even further as a hitter, but I'm worried he might be taking a step back. Always pay attention to guys with good plate discipline (49 BB to 46 K last year) who start developing a power swing. Winker has been irrelevant so far, but with the 2 homers he hit recently, if he can give you 15 homers, 70 RBI and .300 batting average at the top of the Reds lineup, that's incredibly valuable.